← A&W Root Beer Candy! 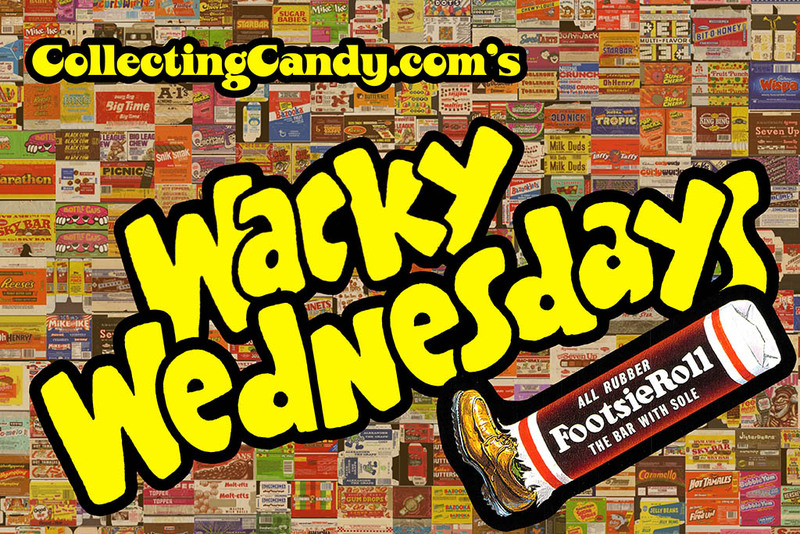 Wacky Wednesdays – Footsie Roll! 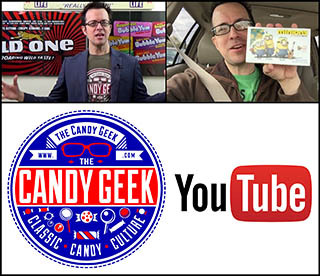 Welcome back to another edition of CollectingCandy.com’s Wacky Wednesdays! 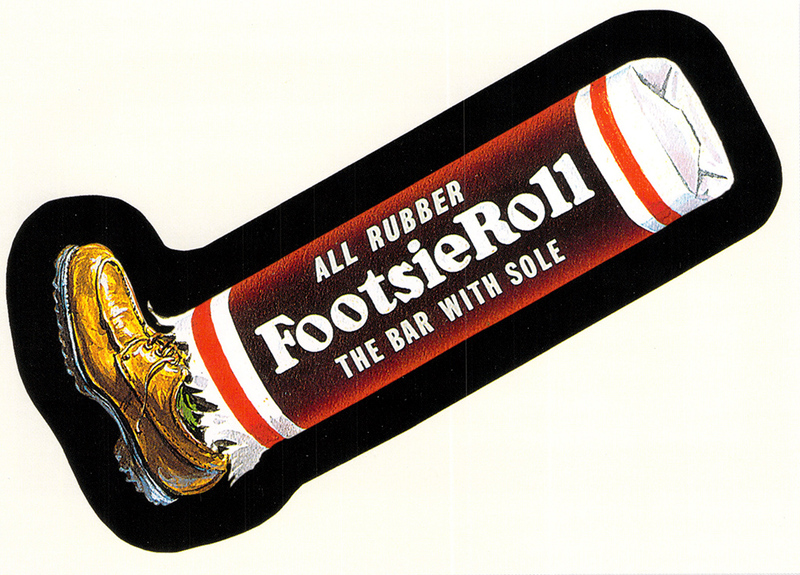 This week we’ll be taking a closer look at a sticker from the original 1970’s Wacky Packages Series 6: Footsie Roll. Actually, now that I’ve got these both up here, I’m realizing that the 1970’s wrapper I have has subtle typographical differences with that seen on the Footsie Roll sticker. Those differences may indicate that the sticker was based on an earlier version of wrapper than the one I have in my collection. Maybe not, but it sure seems possible. For the moment this is as close as I can come. 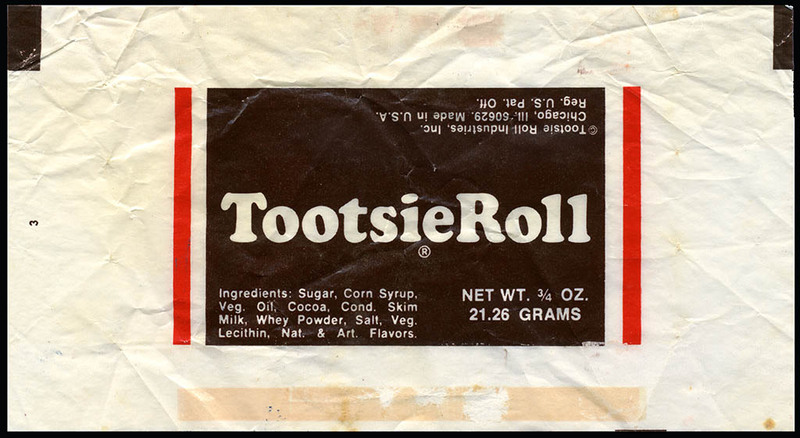 But I will taking an extra look at every vintage Tootsie Roll wrapper I come across from now on. And that’s everything to share regarding today’s Wacky Wednesdays entry; Footsie Roll. See you next time! This entry was posted in 1970's, Topps, Wacky Packages and tagged 1970's, 70's candy, candy collecting, candy collection, candy collector, candy wrapper collection, candy wrapper collector, collectible, collecting candy, confectionery, confections, packaging, sweets, Topps, vintage candy wrapper, Wackies, Wacky Packages, Wacky Packs, wrapper. Bookmark the permalink.